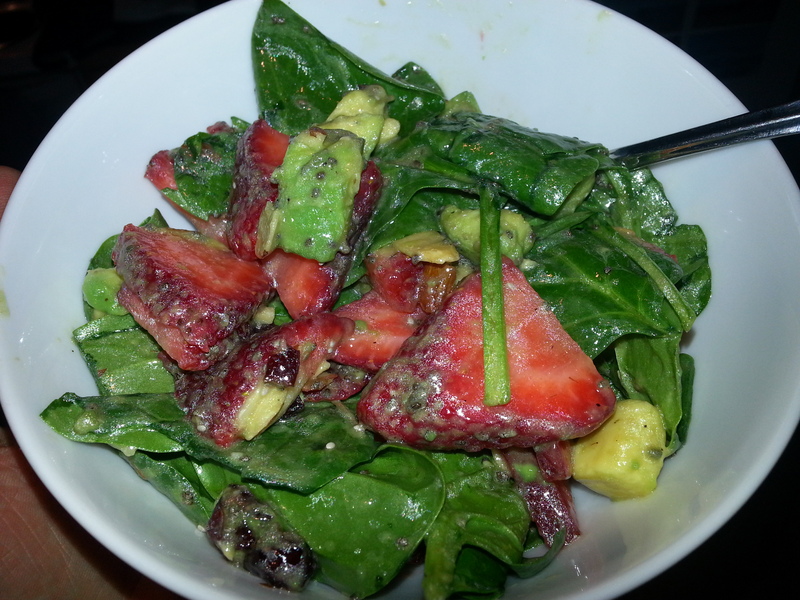 This is a nice little side salad that I made up after realizing that I had strawberries and avocado on the counter, and some spinach left over from my last batch of spinach pasta. Using what I had in the pantry, I whipped up the salad and a dressing. The sweet agave was a nice complement to the bite from the vinegar, and the chia seeds added a great texture to the whole salad. The addition of the avocado filled it out in a way that could have made it into a main dish, not just a side. Really? You need directions for this? Combine dressing ingredients, and whisk them together. Toss the salad ingredients with the dressing in a large bowl, and serve. I love fresh strawberries and spinach together! Lovely salad and perfect for springtime!